The famous boardwalk has been re-built after being destroyed by Hurricane Sandy. The entire project ended up costing about $42 million. The original 2.2-mile boardwalk was completely destroyed during Hurricane Sandy. “One year after the floodwaters caused so much damage and destruction here on Long Island, the newly restored boardwalk is both a symbol of the resilience and strength of Long Beach as well as the unwavering spirit of the many hard-hit communities across our state that are building back better and stronger than before,” Cuomo stated, according to CBS News. The project had its setbacks over the course of the last year. When the remaining parts of the boardwalk were demolished in January, officials stated that they were hoping to re-open the new boardwalk before the beginning of the 2013 summer season. The boardwalk attracts tourism and helps support businesses that depend on summer dollars. As construction moved forward, it became obvious that one of the biggest reconstruction projects in the aftermath of Hurricane Sandy would take some more time. In January, the estimated cost of the project was $25 million. It ended up costing about $42 million, most of which was covered by FEMA. However, the state did have to cover about $9.3 million of the construction costs. The original Long Beach boardwalk was a historical attraction in the area for over 100 years before the storm hit. 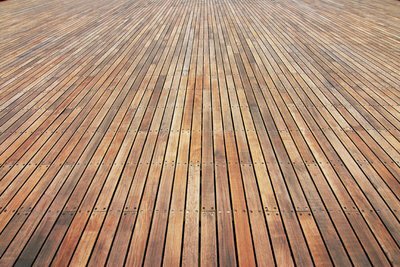 The new boardwalk was built with tropical hardwood that can last up to 50 years. A new retaining wall was also built, and the boardwalk now has energy-saving LED lighting. Subject: LongIsland.com - Your Name sent you Article details of "Long Beach Boardwalk Re-Opens"